Where's The... GOLD © 2003 Aristocrat. 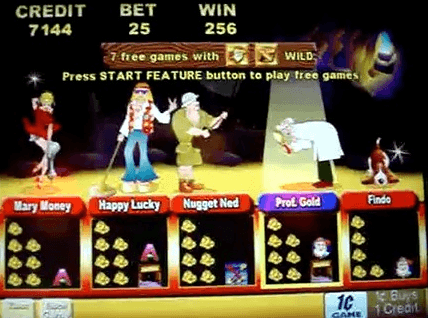 A 5-Reel video slot machine with a gold mining theme. Where's The... GOLD was released in June 2004. There are 2 versions of the artwork. The old version says 'Where's the... GOLD' while the later (2005) version just says 'Where's the Gold'.